The story of Walter Piano Company is the story of a man and his family. Born in 1927, Charles R. Walter grew up in the rural American setting of Watseka, Illinois. His early life was that of a baker's son, but young Charles soon showed interest in things technical and scientific. In 1947 Charles entered the University of Illinois. Four years later he graduated from the School of Engineering Physics with a Bachelor's Degree and a new bride at his side, the former Barbara McCullough also of Watseka, Illinois. In 1964 Mr. Walter joined C.G. Conn, Ltd. and three years later was appointed Head of Piano Design and Development Engineering under Dr. Earle Kent, Director of Research and Engineering. Dr. Kent saw in Charles a man well-qualified in engineering and science but not indoctrinated into the usual and traditional approaches to piano design. During the years at Conn (1964 to 1969), Mr. Walter began to assimilate his engineering background, talents, and experience with the peculiar demands of piano acoustical design. In 1969, when Conn decided to discontinue their Janssen piano division, Charles and his wife were quick to pursue the opportunity to fulfill a growing dream - the dream to build an all new console and studio piano of the very finest sound and quality. 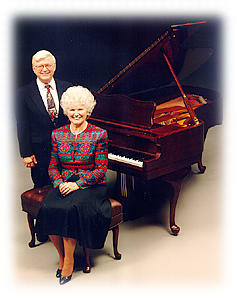 During the following few years, Mr. Walter continued to produce Janssen pianos of recognized quality. Then, in 1975, he introduced the 43" Charles R. Walter Piano to the keyboard market. In the years to follow, Charles R. Walter pianos grew in popularity as their quality and sound became more widely recognized. With his wife by his side, the early days were filled with sweat and long hours, yet God gave the strength. A family was growing up in the piano factory! Kevin Charles, thirteen years old and the only son amidst three sisters, was receiving a steady diet of love, Christian faith, and pianos! Kevin is now involved full time in piano transportation. Since then, our daughter Rachel DeMercurio a graduate in business from Grace College, and three sons-in-law have joined the company: Richard A. Counsellor, a graduate engineer of LeTourneau, Virgil W. Weso, an engineering and business and masters graduate of Purdue University and Stephen P. DeMercurio, Ball State University. A growing number of grandchildren are now joining the ranks of those who have a very "personal" interest in the Charles R. Walter piano. Richard Counsellor, a native of Brooklyn, New York and son-in-law of Charles and Barabara Walter, obtained his engineering degree from Le Tourneau University in Longveiw, Texas. Prior to joining Walter Piano, Richard was a senior welding engineer for United Technologies, employed in the design and production of components for NASA, as well as other aerospace and nuclear manufacturers. He joined Walter Piano Company in the spring of 1982, and through handson involvement became familiar with many aspects of piano manufacturing, from stringing to final finishing. Presently, Richard is a Vice-President of Walter Piano, entrusted with the responsibility of managing and overseeing the production of Walter pianos which are renowned for their beauty, sound, and high quality. Our youngest daughter, Rachel DeMercurio grew up in the company sweeping, painting, hand rubbing, regulating and working in the back department. Rachel really enjoyed the business and realized a Business degree would be helpful. So Rachel decided to get her degree in Business at Grace College and joined us full time in May of 1986. She became our office manager and National Sales Representative. Rachel was also very instrumental in increasing efficiency in production and organization. Rachel is a Vice-President and still going strong in the company as well as training the next generation to carry on the heritage. Rachel's husband Steve DeMercurio attended Ball State University and joined us full time after learning to how to tune pianos. Steve is a Vice-President and our master regulator in the upright and the grands. He manages the regulation of the action and key departments as well as being over the grand for a number of years. Steve is a very detailed oriented manager and brings high consistant quality to our product. We are very thankful for God's blessing in our company over all the years. Our family is extremely important to us and the company has allowed all of our 4 children or their mates to be involved in the business throughout the years. We know that our God, family, and dedicated employees is a big part of our sucess and blessings in the last 40+ years. 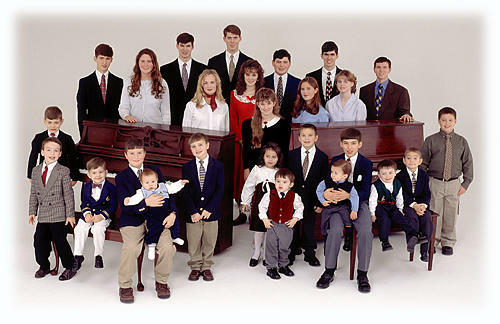 So we hope you will allow our family and craftsmen bring a wonderful piano into your home and family.